If you need to process large amounts of wire, buying semi-automatic cable cutter is a good investments. 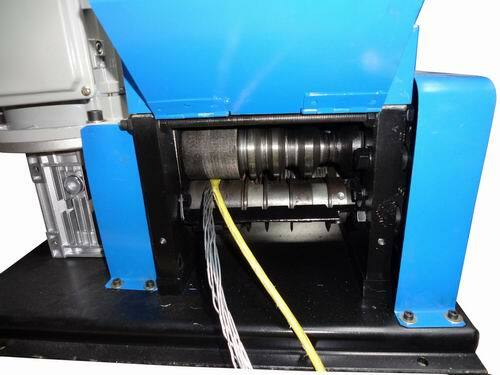 Whether you`re working with coaxial, extruded, or magnet/enamel wire or cable, we offer a wide range of Wire Stripping Equipment. Remove the insulation from virtually all magnet and enamel wires of all sizes and insulation types, including Teflon. Designed to accommodate a wide range of Insulated Wire Strippers from automatic, air-operated, bench and portable machines, our complete line of strippers feature more than 40 products.